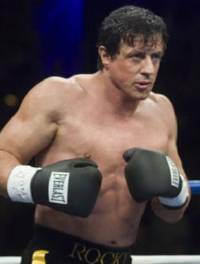 So said Sylvester Stallone to Catholic News Service recently, regarding the fame which came with his Rocky and Rambo films. “I was alone in the world. I thought I would have to handle things in my own way,” he said. The turning point was a 1997 crisis, which led him back to his Catholic roots. Stallone added: “I thought if I put myself in Jesus’ hands and asked for insight and guidance, I am basically taking the yoke off of me — and using his intelligence and wisdom to make the proper decision.